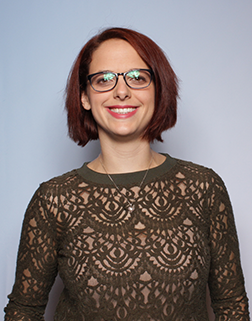 As Imagine's Operations Manager, Jess is responsible for enhancing the efficiency and effectiveness of Imagine's sales development programs and aligning these programs with marketing. Jess strives to continually develop and improve processes that enhance growth for her clients' businesses. When she's away from Imagine, Jess spends as much time as possible with her husband and two girls. She enjoys swimming, cooking and is an avid college basketball fan. Fun fact: Jess has lived in 15 different cities and five different states. Because of this, her favorite sports teams all reside in different cities. They include the Cincinnati Reds, Dallas Cowboys, San Antonio Spurs and the Kentucky Wildcats.